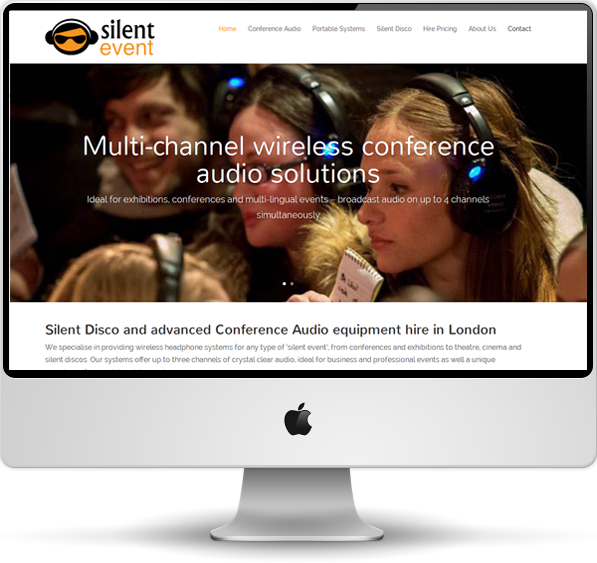 Silent Event is a conference audio and silent disco hire business based in Watford. They offer a unique range of products for hire, using wireless systems that are capable of transmitting up to 4 independent channels of audio to an audience via wireless headphones. The Silent Event site is an example of our BlackboxFlex product. It incorporates multiple pages, contact form, social media integration and client case studies/testimonials. It is a fully responsive website, which adapts the format of the pages for smaller mobile devices. You can see the Silent Event website here.